2017 year end donations and charity work update! – ArunasNepalRelief, Inc.
1. 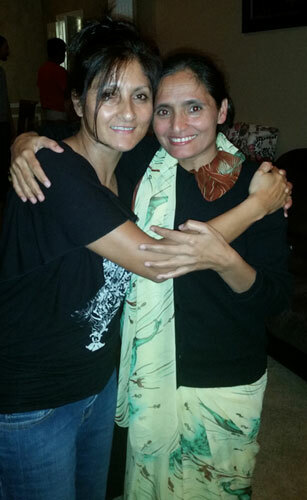 We donated $1000.00 to ProjectNepal which went into effect in 2017 immediately and here is an update:The money was used to help Radha Paudel Foundation registration $400.00 and the rest has been put to the following use to help Nepali children! You can go to ProjectNepal to find out more on the progess in the Kalikot region and Phoimahadev school. 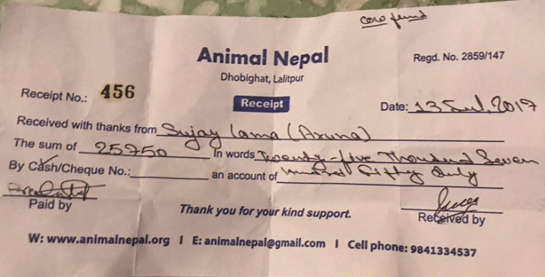 We sent donations through UNT tennis head coach, Sujay Lama to help with 85 cows died and 15 others sustained burn injuries after a fire tore through a cattle farm in Gokarneshwor, Kathmandu, Nepal. 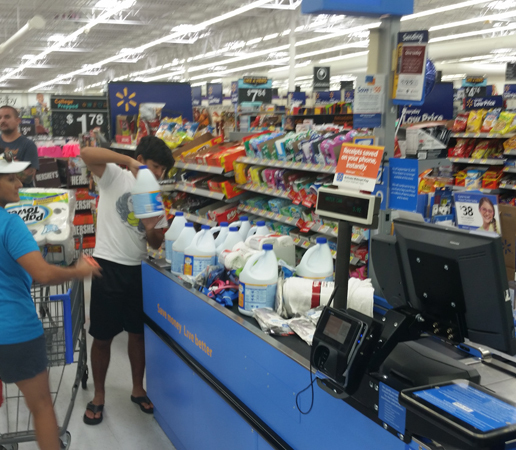 Thank you coach Lama for personally delivering our donation all the way to Nepal! 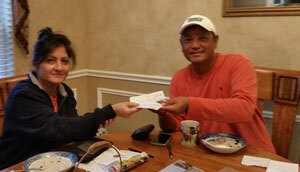 Thank you UNT coach Lama for handing this amount to Sunit Giri! Good luck to all the kids in Nepal striving to go the distance and embracing the sport of tennis, despite meager court facilities and and conditions! We wish you all the very best and glad to be able to help! 4. 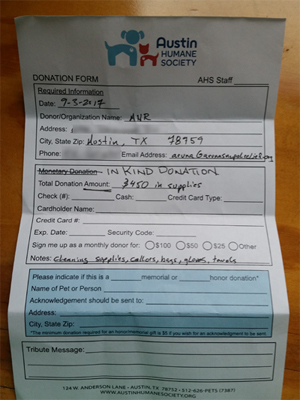 We donated a total of $1073.36 towards Hurricane Harvey through KWCareAustin and Austin Humane Society. You can read the full details on our previous blogs! 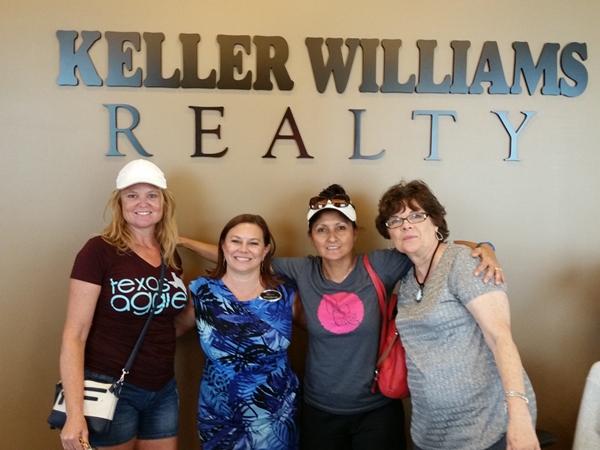 August 30th, 2017 we at ArunasNepalRelief, Inc went and purchased the list of items needed for hurricane Harvey victims totaling $623.36 and delivered them to Keller Williams at Round Rock, 2300 Greenhill Dr, #200, TX. They are worked with KWcares disaster response team, located at 1221 S Mopac Expy, Ste 400, Austin, TX. 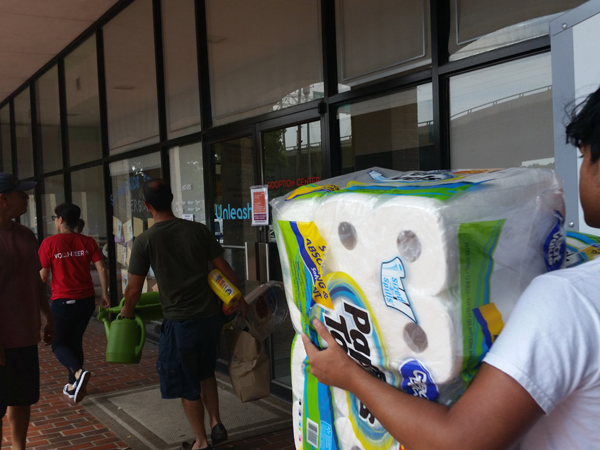 Relief supplies were transported and delivered to KW Relief Houston Command Center, 5121 Hiltonview Road, Houston, Texas 77086. 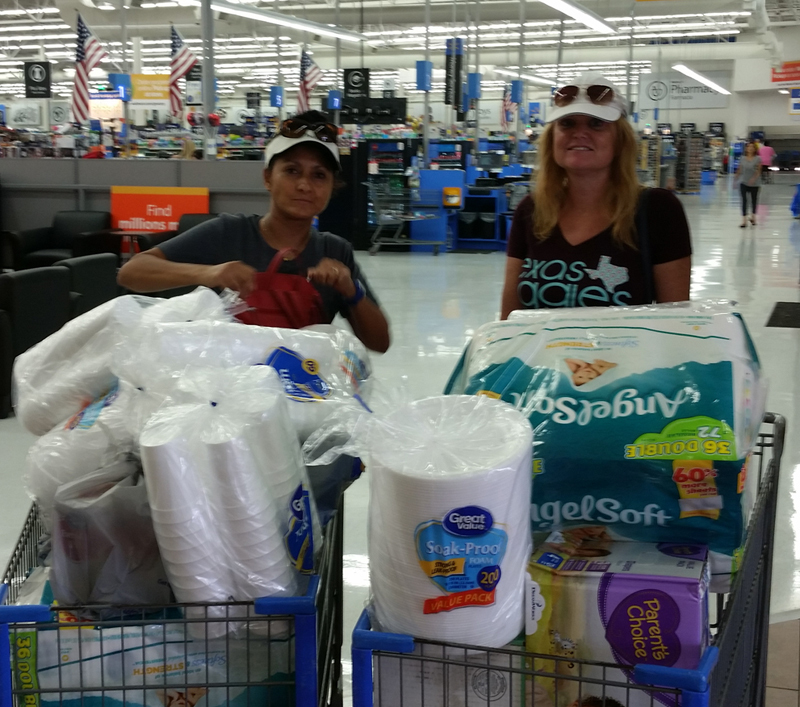 On Labor day weekend, 2017, ArunasNepalRelief, Inc delivers Harvey Pet relief supplies totaling $450.00 to Austin Humane Society! You can read full details on our previous blogs! To see first hand the sheer magnitude of animals coming in from Harvey into Austin, TX was devastating yet comforting at the same time how far the human spirit goes to saving lives. This is just one room the dogs coming in were being housed in crates, there were other rooms full of incoming pets, fostering and adoption was going on as well as people bringing in relief supplies. 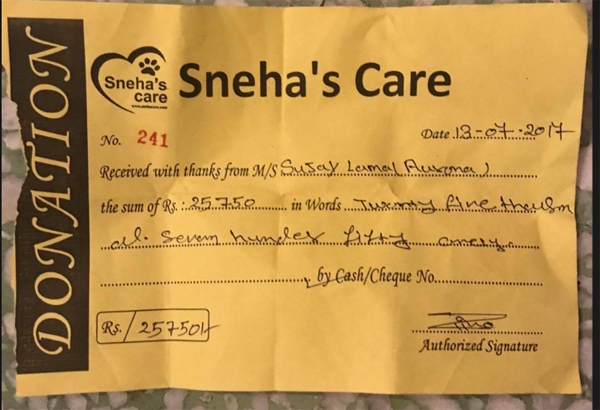 It was a very heartwarming experience for us to be able to just give a little helping hand to Austin Humane Society who are doing so much along with the other Animal Shelters all over!